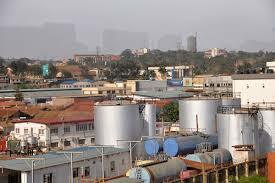 Uganda National Oil Company (UNOC) started early this year to call out potential buyers to bid for the 45,211 barrels of test crude oil that was extracted from extended well tests. However, the bid that was programmed to end in March is still on the go due to lack of adequate qualifications from the previous bidders and therefore still stored in specialized containers at four sites; Kasemene 1, Ngara-1, Ngiri-2 in Buliisa, and at Tangi Camp in Nwoya district. UNOC’s Chief Legal and Corporate Affairs officer, Peter Muliisa, said that the first bidders lacked quality, health, safety and environment (QHSE) management measures. “The problem was because with the kind of bidders we received, none of them presented satisfactory measures of utilizing this oil in a safe and healthy way. We would rather not sell the test crude instead of risking dangerous disposal of this crude oil. This is a very dangerous product. We need to be conscious of the whole process” Muliisa said in a phone interview. However, as he noted, a potential buyer is yet to be chosen from the second bidding process. According to Sebikari Gloria, the Manager Corporate Affairs Petroleum Authority of Uganda (PAU), the difficulties involved in the crude oil consumption partially led to the delays in its sale. The crude oil would have been flared(burnt) but due to the criticism from the environmentalists, government opted to sale it. At the intercontinental Exchange the crude oil price is at $70 per barrel however attempts to sell it have been futile since 2012.